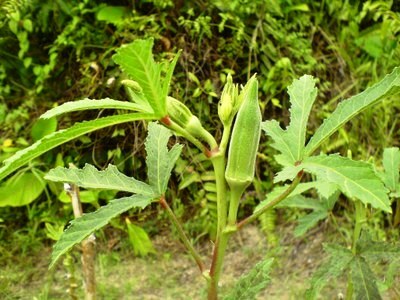 May, Jun, July are suitable months for producing Ladies Finger or Bhendi. Plow the 75 cent land with tractor fixed with harrow discs. Rest the land for 2 days. Plow the land with tractor fixed with rotavator. Take 150 feet length, 4 feet width and 2 feet height of beds. Based on the land increase the length. Mix 15 tonnes of farm yard manure, 400 kg of vermicompost, 400 kg of Neem oil cakes, 1 kg Phosphobacteria, and 1kg Azospirillum together and should be spread on the beds made. Fix drop water pipes and spread polythene mulching sheet on the beds. This sheet avoids unnecessary weeds growing around the plants. Also, prevents water vaporizing. This sheet can be used up to 2 years. This could be rolled taken out safely once completion of the cultivation for reuse. Now on the each side of the mulching sheet make 4-inch pits(holes) in each 1 feet gaps. These holes should be in zigzag triangle planting system on each side. Moist the land by water continuously two days, then put one seed per hole and plant. Follow moisturizing based on frequent checkups. Sowing the 5-th day, germination takes. On 15-th day , it will grow for half feet tall. At this stage, ants movement will be there and will be a chance that the ants will make holes in leaves, stems. To prevent Ladies finger plant from ants , mix six litres of neem oil with 150 kg of neem oil cakes. Sprinkle 100 g of this mix around each plant. This will make all ants run away. On 35th day, all the plants will start bloom and after 40th day it will begin to bear. We can harvest ladies fingers from 45th day to 140th day. Hope you got some info. Let's see another plant in another article. Benefits of drinking Fenugreek/Methi seed water with Honey, itdissolves fat!!! Numerous diseases are attacking the body due to today's bad eating habits and lifestyle. Modern food habits increasing the level of toxins in the body. 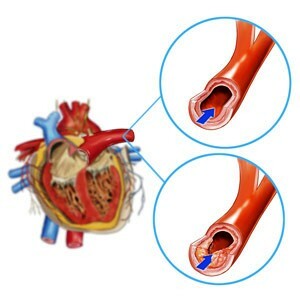 Particularly, this forms fat in the blood vessel, make blocks, and disruption caused in the blood flow. End results would be the heart and brain related diseases. Not only English medicines help to dissolves this fat. Certain food and juices available to dissolves. Having English medicines would cause the side effects. But natural drinks and foods will not cause any side effects. Let's see a natural drink to dissolve the fat from the blood vessel. Keep read following. Fenugreek seeds help to dissolve block causing fat from the blood vessel. Recent research results confirmed that fiber available in fenugreek seed reduces cholesterol and stops the body that observes the cholesterol. Other benefits of Methi is that it will help to easy digestion and controls the production of bile water. Also, it will completely remove the harmful toxins from the farthest corners of the body. Add 1 teaspoon of fenugreek in a cup of water and boil for 5 minutes. Then add honey and drink twice per day. Soak fenugreek seeds in water overnight and drink that water in the morning in empty stomach. If we follow any one of the methods for 1 or 2 months daily, definitely blood vessels will be completely cleaned and will avoid heart and brain related issues. Below are some tips to avoid fat blocks in the blood vessels. Reduce eating deep fried foods and sweets. Avoid processed foods. Give up bad habits such as smoking and alcohol consumption. Have bright colored fruits such as watermelon, mango, orange, and blueberry etc daily. This will make sure to get rid of fat. Have 1 cup of green tea daily in the morning and evening to dissolve the excess amount of fat. It will reduce the body weight. Use the coconut oil for cooking daily. This will avoid the fat formation in the blood vessel. Drink cranberry juice whenever it's available. This also helps to avoid fat formation. Winter is started. It will be good to have a cup of Puliyogare in the chill weather. It will keep the body warm. Puliyogare is one of the best variety rice made in South India which is all time favorite for most of us. This rice is good whenever going for outing or picnic. It wont spoil for even two for days. Soak basmati rice for ½ an hour. Cook the rice by adding 1 tablespoon of sesame oil. So that the grains will remain separated. Cool down. Soak tamarind in a cup of water for 10 mins. Heat a spoon of sesame oil in a pan and roast the ingredients mentioned under For roasting till golden color. Bring down to cool and make it to smooth powder. Heat 5 table spoon of sesame oil in a pan. Once oil hot, add mustard seeds and 1 teaspoon of urad dal. Once mustard start spluttering add asafoetida, 2 table spoon Chana dal, Curry leaves, ground nut. Once ground nut turned into golden in color, add red chilli and turmeric powder. Now add two cups of tamarind extract water. Bring to boil. Add enough salt as per your taste. Then add ground powder and boil till the consistency become little thick. Now puliyogare mix is ready. Add this puliyogare with cooked rice and mix it gently and thoroughly. Make sure to mix as per your sour taste you want. Now puliyogare is ready to serve. rice due to the taste of the curry. Garlic and pearl onion will make the extra taste. Let's see how we can make this recipe. Chop the tomato's and make into puree. Then add sliced/chopped garlic and curry leaves. Let it cook for a minute. Then add ground tomato puree. Bring it to boil. Once bubbles started, add coriander powder and Kuzhambu powder. Stir it. and switch off the flame. 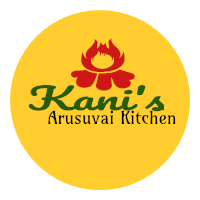 Now the wonderful and authentic Garlic Kara Kuzhambu is ready. Actually, Brinjal is a fruit. Other names for this fruit are Eggplant, mad-apple, melongene. It is being available in different size and color. But most seen color is Purple. We would have prepared curry, Kuzhambu using Brinjal. For a change try making Stir fry. It will be fantastic. Let's see how to make. Wash brinjal and cut into small pieces. Put cut pieces into water until cooking in order to avoid getting darken. Add Coconut, Turmeric, Red chilli, Coriander powder in a mixture jar and make coarse powder. Heat 2 teaspoon of oil in a pan. Once oil hot add small cut brinjal pieces. Cook for 4 minutes. Once it is cooked, Add ground coconut powder and stir it. Add salt as per your taste. Let it cook for another 4 minutes. No need to add water. If you feel burning, just sprinkle very little water. Now garnish with Coriander leaves. Now Brinjal Stir fry is ready. This will go best with Chappathi , Rasam rice and any variety rice.